The sturdy bright grey floor covering runs across 16,000 square meters and harmonizes beautifully with the purist concrete walls. 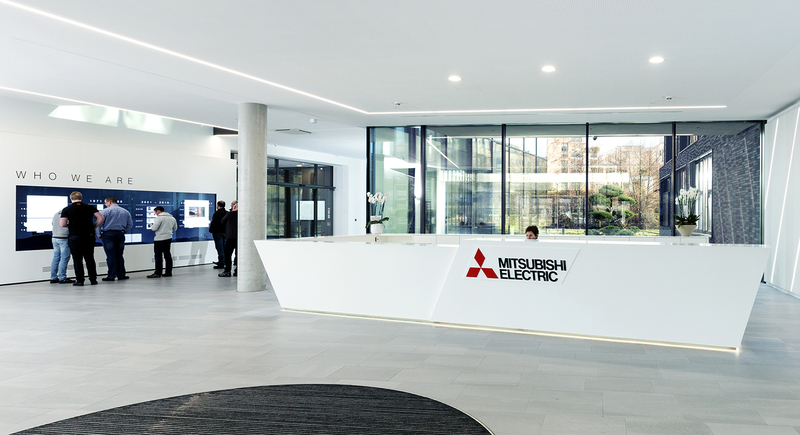 The German head office of Mitsubishi Electric in Ratingen, North Rhine Westphalia, has been outfitted by arctum Architekten with Mosa Solids tiles. 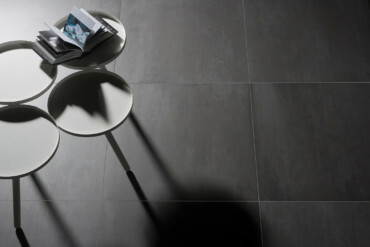 The series was developed by Dutch tile manufacturer Mosa and combines plain elegance with durability. 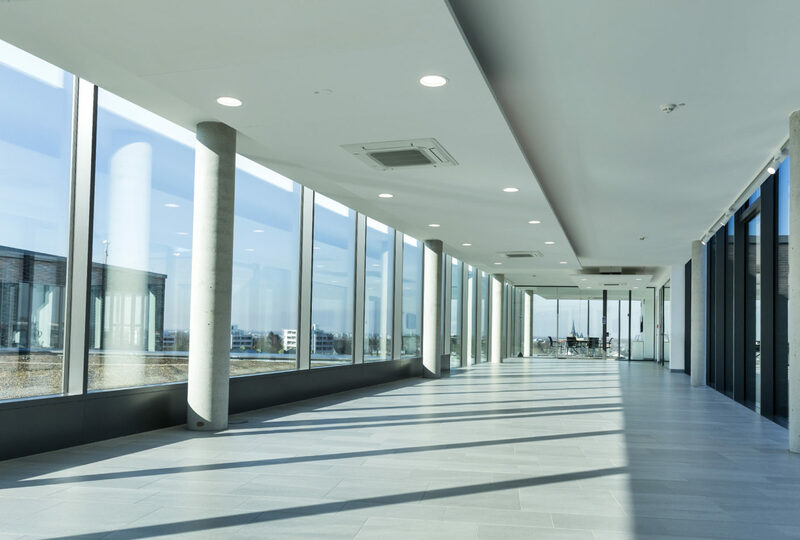 This robust bright-grey floor covering extends across 16,000 square meters and blends perfectly with the purist design of the concrete walls. 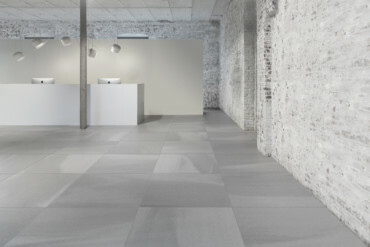 Mosa went the extra mile for its tile collection concerning sustainability and was rewarded with a Cradle to Cradle Silver certificate. 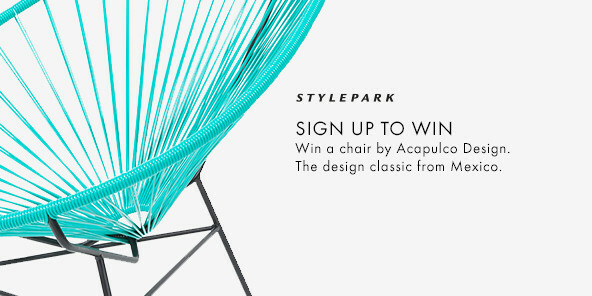 It’s the first time a complete ceramic tile collection has won such a prize. The US Cradle to Cradle Products Innovation Institute bestows the award on companies that use eco-safe, healthy and recyclable materials or are heading in that direction. Moreover, the use of renewable energies, a responsible approach to water, and social aspects in the choices made are all factored into the equation. 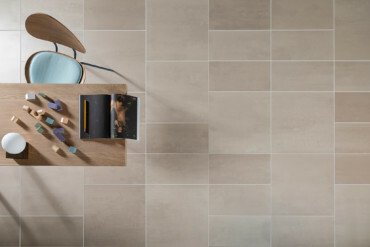 Mosa tiles contain no toxic substances and over time also do not develop any toxic residues, as they consist primarily of sand and clay. 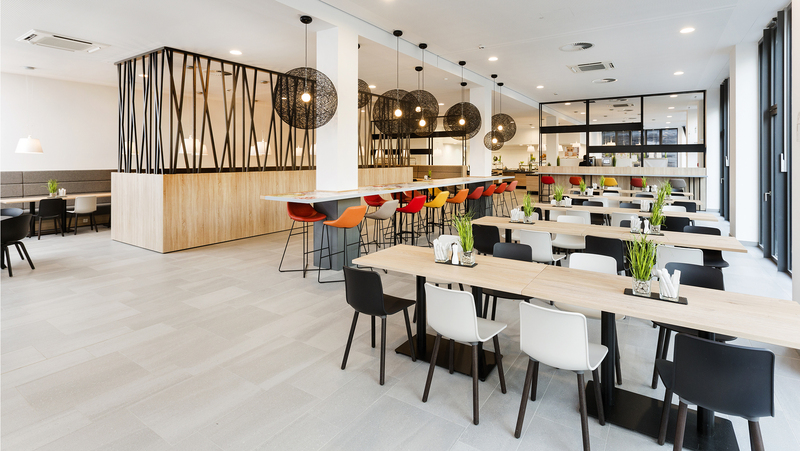 Mosa tiles also provide solid foundations in the cafeteria. They contain no toxic substances as they are predominantly made of sand and clay. 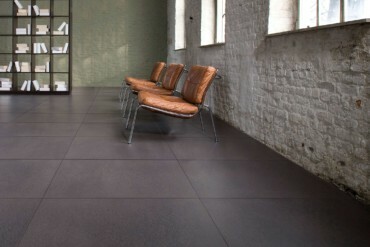 Mosa earned the Cradle to Cradle Silver certificate for its eco-friendly Solids collection.